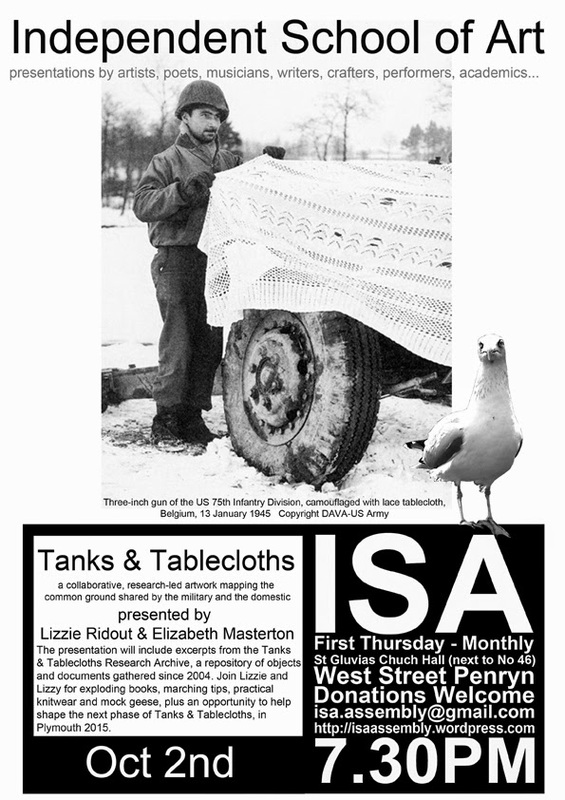 Lizzy and I will be talking about the Tanks & Tablecloths project - both past works and future pieces - as part of the Independent School of Art's series of presentations. It takes place at St Gluvias Church Hall, Penryn on Thursday October 2nd at 7.30pm. All welcome.